How do police check car insurance? How do the police check car insurance? Unless you live in Virginia, New Hampshire or Mississippi, driving without insurance is against the law. Taking the risk to violate the law can not just put your assets at risk, it’s also a decision that comes with some very serious consequences. It’s only natural to wonder just how a police officer might check your car insurance. After all, they don’t pull out their cell phones and call your insurance company to see if you have coverage and what your limits are. As you compare insurance quotes, it can be helpful to learn just how modern insurance verification works. To compare car insurance rates now, enter your zip code in our FREE tool above! Why is auto insurance required by law? What are the state insurance laws? What are alternatives to satisfying a financial responsibility law? How does an electronic verification system work? Can you get pulled over just for having no insurance? You have a choice to purchase home insurance, boat insurance, and recreational vehicle insurance, but auto insurance is a form of property insurance that’s required by law. It’s only natural to wonder why it’s your decision to buy one product and not the other, but in the eyes of the law, the potential for harm is much greater when you’re driving a car. Most state officials require vehicle owners to buy third-party protection. This protection doesn’t necessarily protect the owner but will pay for property damages and bodily injury that they might be responsible for. Insurance laws, limit requirements, and systems vary by state. Some states have mandatory insurance laws where there’s no choice but to have auto insurance to pay for vehicle damages. Other states have a different type of law called a financial responsibility law. 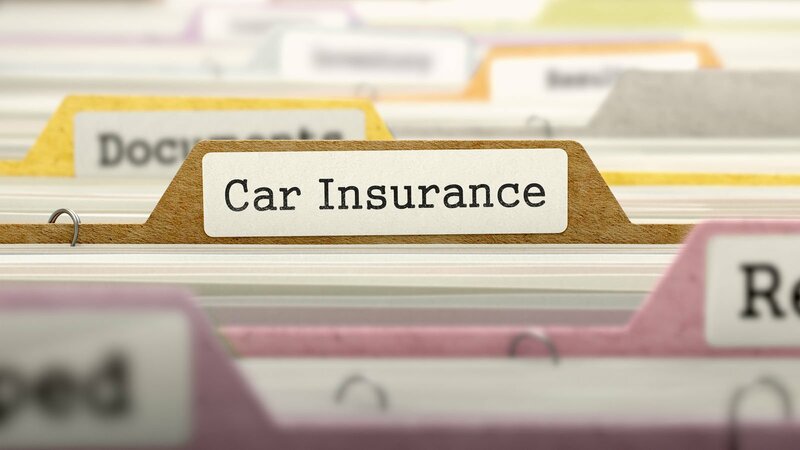 In this state, carrying auto insurance is just one of the options to satisfy the law. If you’re in a state where you can bypass insurance requirements by presenting other proof of financial responsibility, you might not need to worry about presenting police officers with an auto insurance ID card. It’s extremely dangerous to drive without insurance. Before you’re worried about how the police verify your coverage, you should find out what could happen when the police find out your policy isn’t active. Learning about potential penalties and the other indirect consequences of driving insured might steer you away from taking the risk. The consequences for driving uninsured vary by state. States with higher rates of uninsured motorists tend to have much more stiff penalties than those with lower rates. Typically, it’s your duty as the registered owner of your vehicle to show that you have insurance at all times by keeping your ID cards in your glove box. If you don’t have your ID card with you, you can be cited even if you do have coverage. Some states accepted both the traditional printed ID cards and digital ID cards. See if your company offers digital cards to policyholders for convenience. You should verify that your state allows digital proof of insurance before you assume that it’s acceptable. In the past, all you needed was a valid ID card to show that you had insurance. Now, police officers have real-time access to verification systems that show whether or not your coverage is in fact, active. The reason for this advance in procedures is because so many drivers tried passing off fraudulent auto ID cards to police to avoid a citation. An electronic verification system is one that auto insurance companies report to and one that the state can access. In states where insurance status is reported electronically, companies are required by law to report when the status of policy changes or when a new policy is purchased. It’s report by entering a vehicle’s VIN and the term dates. On the other side of the system, state officials with the DMV and police officers can access what’s been reported. Officers can enter a car’s plate number in their computer and it will show the VIN and insurance status. This status is reported real-time so that the officer can accurately cite uninsured drivers. Officers can check your auto insurance status while you’re driving on public roads, but they can’t actually pull you over just because you don’t have coverage. Instead, you have to be doing something else wrong before you can get pulled over. No insurance violations are secondary offenses that can’t be the primary reason for any traffic stop. You would have to be speeding, violating a traffic law, riding without a seat belt or in violation of another law before you could be penalized for no insurance or fake ID cards. Insurance isn’t just the law, it’s a financial product that can really protect you. The quickest way to price the cost of a full coverage auto insurance policy is to use an online comparison tool. Enter your zip code below in our FREE tool to compare car insurance rates instantly!